Shane has traveled with professional golfers for over 5 years on both the European & PGA Tours for 25 weeks a year. Shane’s company Lawlor Golf currently looks after some of the worlds leading golfers including Michael Hoey, Shane Lowry, Ross Fisher, Peter Uihlein and Padraig Harrington. Improving athletic performance. Maximizing your personal health. Reaching your individual or organizational potential by increasing your overall physical and mental health. These are the critical streams being expertly navigated when you hire Dr. Craig Davies to deliver one of his award-winning seminar workshops on human performance. Dr. Davies has developed the Achieve DEPTH and the DEPTH Systems programs to not only educate people on how they can improve their own performance, but also to empower individuals and the teams they work within to achieve greater results. There are myriad reasons to hire Dr. Davies and an equal number of program options easily customized to your needs. You could be leading a college team and looking for advice on improving your athletes’ physical potential; you may be an executive looking to improve your health, vitality and your personal ability to perform athletic activities or simply play with your grandchildren; you could represent a fitness facility, PGA or other organization closely linked to the field of human performance and athletic excellence. Whatever the reason you come seeking a seminar experience, Dr. Davies can deliver an informative, impactful, inspirational and educational program. Dr. Davies has lectured and consulted with athletes, national sports federations and executives from all over the world. He regularly lectures and consults with the top athletic federations, athletes, coaches, health professionals and executives in multiple fields. 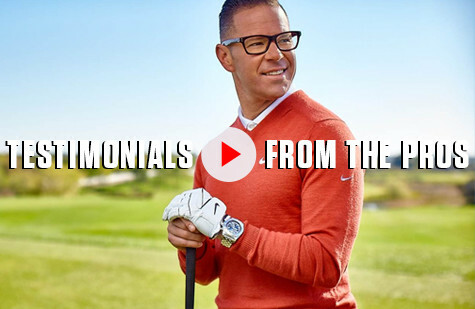 He is regarded by many as one of the top coaches in athletic development and movement competency and is the world’s most sought after instructor for golf fitness. His seminar workshops, clinics and consultations are highly sought by private institutions and recognized organizations in multiple countries. When your organization is looking for inspiration to increase human performance, hire Dr. Craig Davies. Craig not only hosts events in Orlando but is frequently asked to teach and share his systems throughout America, Europe, Australia and Asia. He is often hired by college strength & conditioning and athletic departments, sports performance businesses, professional sports teams and organizations, youth organizations and fitness clubs. The tabs below show a highlight of the ways Craig can help you and your organization. Have Dr. Davies and his associates perform a full body mechanics and functional medicine assessment utilizing the same systems and protocols they would use with world class athletes. There is no line that delineates rehabilitation and sport performance training. They exist on a continuum and your individual programming recommendations will utilize this important concept to help you achieve your goals as fast and safely as possible. Your sports program or individual athletes can have Dr. Davies or his associates perform full body mechanics and functional medical assessments utilizing the same systems and protocols they would use with the their world class athletes. Team or individual assessments and program design packages will help each athlete realize their own unique optimum while limiting their exposure to potentially damaging movements. Creating a physical environment that is resilient to injury and primed for movement efficiency, force generation and force absorption encourages athletic prowess and optimal recovery. Ongoing assessments and programming updates allow each athlete to progress at their own rate Technique changes become easier to implement when an athlete’s body is performing without compensation in the nervous system and Kinetic Web. This will decrease the time spent attempting movements that the body is not able to perform and will therefore decrease both the coach and the player’s frustration while increasing the time available to make positive changes and increased performance. Each of us deserves the opportunity to ACHIEVE and perform at our own personal finest. Don’t accept limitations on your athletic potential that you have set on yourself or that others have set for you. Three of the most comprehensive and versatile seminar experiences are available through DEPTH Systems. These seminars have been carefully crafted by Dr. Craig Davies and his colleagues and combine decades of experience working with the world’s best athletes and complicated rehabilitation clients. This option is available for both local and worldwide opportunities; conditions on number of days applies for those requests outside of the Orlando area. Information provided is based on the requests and needs of the enquiring individual or organization. After a brief consultation with Dr. Davies or his associates, your needs can be quickly assessed and an appropriate program developed. The half and full day consultations provide an opportunity to incorporate sport specific skills, on course observation or other unique experience. Sean Foley from Achieve Depth on Vimeo.